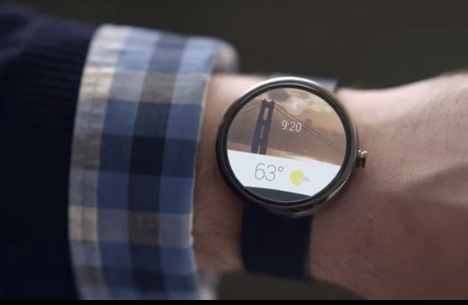 Google has officially launched Android Wear, a modified Android operating system for wearable devices. Android wear is especially designed for wearable devices and now starts with most familiar wearable device – smart watches. The device is mainly focusing to provide information on the right time when you need it and it will responds to voice commands similar to Google Now. Android smartphones can be connected easily to get your all phone notifications on the smartwatch. You will get notifications for emails,text messages, voice calls, social updates and other app messages also. Google Now feature is integrated with smartwatches and you can activate the voice input by saying “OK Google” command and get answers for your spoken questions. Get useful information when you need it – Android Wear shows you info and suggestions you need, right when you need them. Receive latest posts and updates from social apps, chats from messing apps, notifications from news apps, social apps and more. Straight answers to spoken questions – Just say “Ok Google” to activate voice input and get answers or perform your works sending text, making a reservation or setting an alarm. Monitor your Health and Fitness – Your favorite fitness apps can give you real-time speed, distance travelled, time information and calories burned and more options on your wrist whether you are cycling, running or walking. Access and control other devices from your wrist – you can fire up a music playlist on your phone or cast your favorite movie to your TV. Google is already working with some manufacturers including LG, Motorola, Asus, HTC and Samsung to introduce smartwatches powered by Android Wear later this year. According to news, LG G Watch will be the first smartwatch shipped with Android Wear platform. The developers can download a Developer Preview copy of Android Wear and test existing app notifications.